You are here: Home / Freelancing / As A Developer Is It Ok To Switch Skills to Boost Income? I am working in the technology field and though it is not an outdated technology, I don’t see too many opening for it in my city. 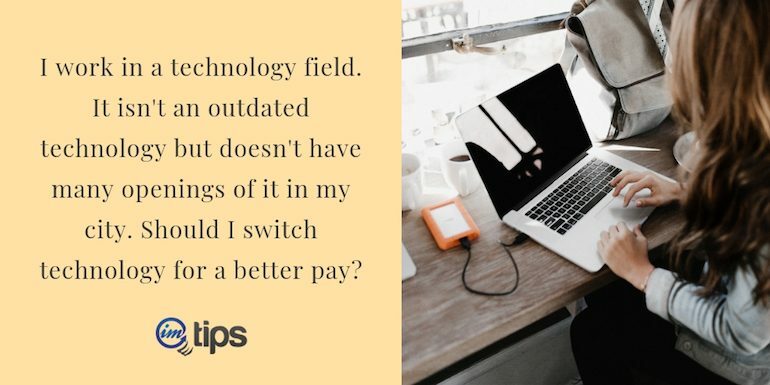 I am not sure if I should switch technology only for a better pay? The short answer is YES. In fact, it is a must especially for the developers or rather anyone in the technology space. In fact, if you don’t switch skills or at least update skills, you will be either forced to or will have to take an early retirement. What I mean is, if you are an employee, you will be forced to do the same work over and over again at the same pay till you retire and if you are a freelancer, either you won’t find enough work or if you do, you will be paid too low to remain afloat. So switching skills isn’t a choice but a must for developers and freelancers. Let me share with you my story about switching of skills. As a fresher, my first job was in Visual Basic 6. I was never interested in working in Visual Basic 6 in 2004 because I knew it was an outdated technology and even if Visual Basic did flourish, it won’t be Visual Basic 6. By the time I was doing the job, I had my Go4Expert website. So I decided to switch to a web-based job. The second job was as an SEO. I realized I enjoy being a developer and not doing the SEO or rather email other webmasters for link exchange (that is what SEO meant in that company). So I moved over to a C++ job in first 12 months of my initial career and each time I switched a technology. If I wouldn’t have switched, I may have been doing some Visual Basic 6 maintenance job somewhere even today at a pay very similar to my first salary. When I quit the job, I moved over to PHP and this was from being a C++ and C# developer with over 3 years of development experience. As a freelancer, I have moved over from vBulletin to XenForo. As of today I mainly work XenForo, but there are many projects related to WordPress and other PHP Frameworks. It seems like everything worked out when I switched but that isn’t true. There are many things that I did which even didn’t work out. Like for example when moving away from vBulletin, I even tried working out with other forum software like Invision Power Board or IPB but the switch didn’t work out and I only managed one or two clients here and there. 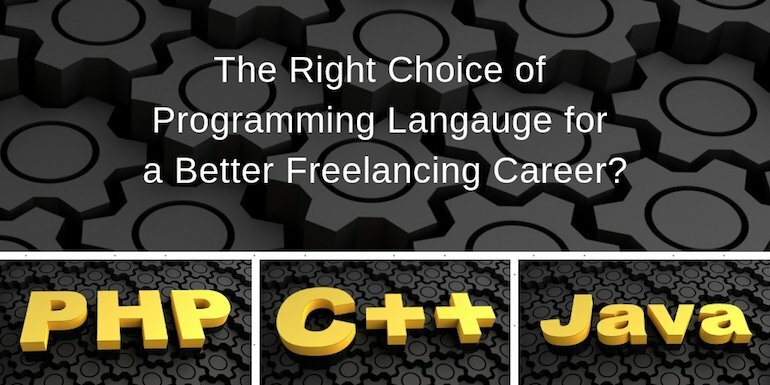 Similarly, there was a time when I even looked at ASP as an option because I had experience with C# but that didn’t work out either and because my websites were in PHP and I wanted to work on my website, the PHP became a much better choice. I even tried iOS and swift 2 but it didn’t work out because of my lack of time but I may consider it anytime in the future if need be. So there will be a time when you will have to take that call of to learn something new and make a switch. Even if it isn’t for the pay, to remain relevant in the field of technology and development, it is important that you focus on being ready for the next change that may be coming. So now the question comes what is the best way to make a switch. The way I like to do is, allocate some time in the week to learn a new technology. When I was doing a job, I was working and learning PHP either after the job or mainly on weekends because the changes I wanted to be doing to my vBulletin forum meant I had to learn PHP. Similarly, as a freelancer, I set aside weekends to be working on something that doesn’t pay me but I like doing it. One of them is blogging where I often write on the weekends. Or if it is related to my financial investments, I am still learning but I dedicate the time for it mainly on weekends. So if you can dedicate a few hours of your weekend time to learning something new, it can help you take a long way. I am not sure if this is the right way of doing it but it works really well for me. My weekend projects has taken me very far in my career. As an experienced developer and already working on something, I am sure you won’t take random decision to switch to something. The switch will be based on some research and understanding of the future. And remember whatever be the outcome of learning something new, it is always worth trying.